This tour provides first-hand experiences of physical & human geography with a special emphasis on natural hazards & their management. New Zealand is a young country in geological terms with very recent human population growth. Students can examine many examples of diverse landscapes & human interactions with the environment so they can appreciate how we may best manage & mitigate the effects. A major theme of this trip is for senior high students to appreciate the identification & management of natural hazards. New Zealand has many examples of changing physical landscapes due to its position across the boundaries of two tectonic plates. The interaction between the Pacific Plate & the Indo-Australian Plate produces immense forces & constantly contorts the land mass of New Zealand. These effects produce major events, sometimes with devastating consequences. New Zealand has developed leading early warning systems & management strategies to reduce the risk to its people & resources from likely major events such as earthquakes, volcanic eruptions, lahars, tsunami & extreme storm events. This tour is aimed at exploring the hazards & the practices we use to manage those hazards. Secondary themes cover human geography topics of globalization & economic activity including the Hobbiton movie set, potential tourism development, urban issues, challenges of competition & the structure of urban dynamics. We also give students an opportunity to assess conditions within a CBD including microclimatic changes & measures of CBD categorization. The content of the tour provides a background to human & physical geography & includes natural features such as volcanism, erosion, human impacts related to land use, tourism & development. Students get to experience adventure tourism as part of the trip! Field activities & techniques are an essential part of this study tour as we seek to understand lithospheric & hydrological processes, urbanization & micro climate studies. The educational content is presented to give the students a deeper appreciation of how physical geography provides us with keys to natural processes & how human geography assists us in the management & sustainability of our own footprints on the earth. 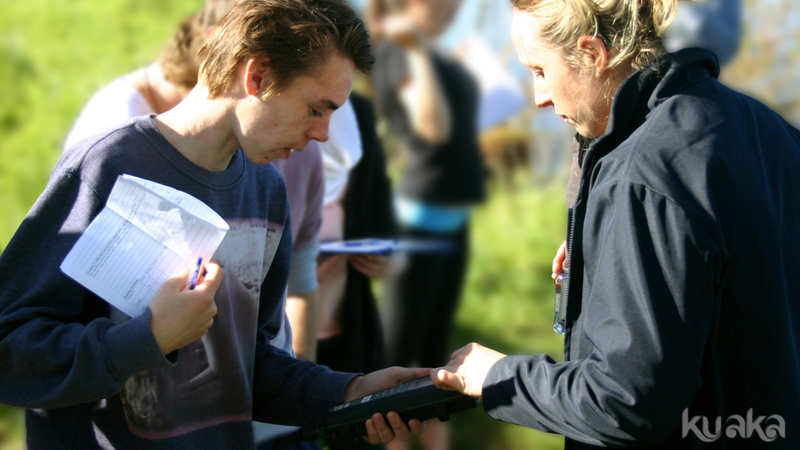 To develop the geographical fieldwork skills of collecting data, forming hypotheses, analyzing & interpreting information, & forming reasoned conclusions. To cultivate deeper thinking skills through experiencing inquiring based learning in real world situations. To deepen students’ understanding of their own country through a comparison of the culture, history, economy & geography of New Zealand. The study tour is interspersed with a number of exciting adventure experiences for students. This fun & personal challenge assists with the retention of knowledge & improving the group dynamics as we go. On our programmes students develop confidence to speak up in group situations & make friends. We focus on how the themes of land stability, water quality & biodiversity relate as key principles in environmental health.